Charles Messier was born in 1730 and became enthralled by comets at the age of 14 when he saw one of the “Great Comets”. By 1758, he was working as a clerk in the Marine Observatory at the Hôtel de Cluny (now the Musée national du Moyen Âge), in Paris (at 49 degrees North).under the direction of the resident astronomer, Nicolas Delisle. All of Europe was seeking at that time to confirm Halley’s prediction of the period of his eponymous comet. Its return was imminent if Halley was right. Messier kept on finding strange blurry things instead. He called these his “embarrassing objects” and made a list of them. Eventually, he did locate Halley’s Comet as predicted (but he wasn’t the first to spot it). He was an eminent comet hunter in his generation and as well as Halley’s, found 15 new ones. He employed an assistant, Pierre Mechain, who discovered several of the objects catalogued. The first edition of the list contained 45 objects (March 1765) but he added additional objects until the number stood at 103. Later, people reviewing his notes, added in 7 more that he had observed but didnt include himself (the last in 1966!). Of note, he counted 1 object twice (M101 = M102!) so some people talk about 110 objects and some 109 in total.We now know his “embarrassing objects“ to be various nebulae, galaxies and clusters but they still make a great list of objects to view in the Northern Hemisphere. 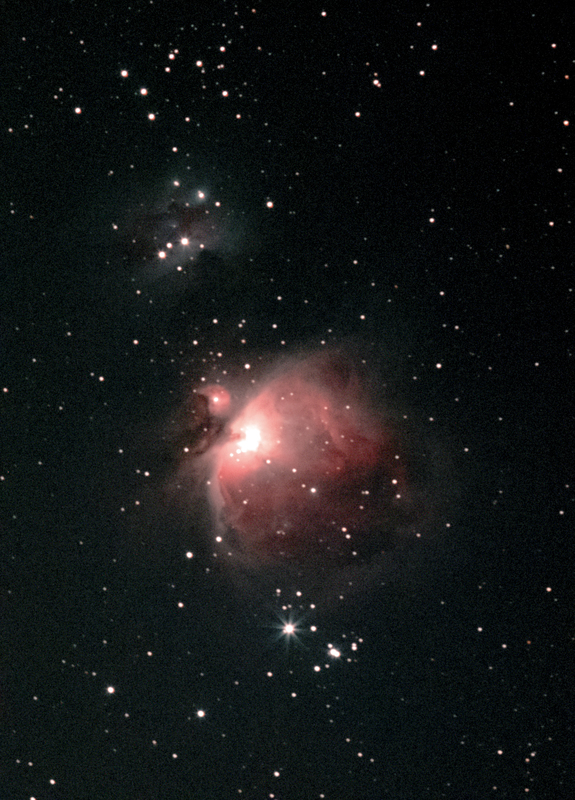 Most star maps list the Messier objects using the format M20, M51 etc. 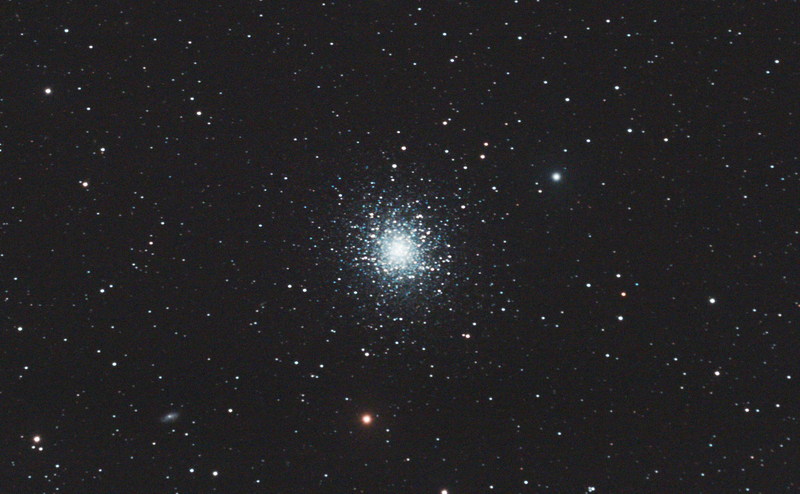 M13 in Hercules. The most spectacular of the Northern hemisphere globular clusters.